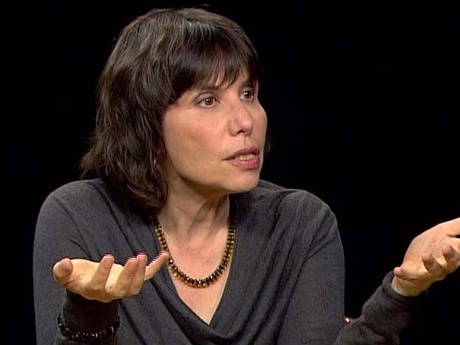 Alison Gopnik is a professor of psychology and affiliate professor of philosophy at the University of California at Berkeley. She received her BA from McGill University and her PhD from Oxford University. She is an internationally recognized leader in the study of children’s learning and development and was one of the founders of the field of "theory of Mind", an originator of the "theory theory" of children's development, and more recently introduced the idea that probabilistic models and Bayesian inference could be applied to children's learning. She has held a Center for Advanced Studies in the Behavioral Sciences Fellowship, the Moore Distinguished Scholar fellowship at the California Institute of Technology, the All Souls College Distinguished Visiting Fellowship at Oxford, and King's College Distinguished Visiting Fellowship at Cambridge. She is an elected member of the Society of Experimental Psychologists and the American Academy of Arts and Sciences, and is a fellow of the Cognitive Science Society and the American Association for the Advancement of Science. She has been continuously supported by the NSF and was Principal Investigator on a 2.5 million dollar interdisciplinary collaborative grant on causal learning from the McDonnell Foundation. She is the author or coauthor of over 100 journal articles and several books including Words, Thoughts, and Theories, MIT Press, 1997, and the bestselling and critically acclaimed popular books The Scientist in the Crib, William Morrow, 1999, The Philosophical Baby, Farrar, Strauss and Giroux, 2009, and The Gardener and the Carpenter, Farrar, Strauss and Giroux, 2016. The latter two won the Cognitive Development Society Best Book Prize in 2009 and 2016. She has also written widely about cognitive science and psychology for Science, The New York Times, Scientific American, The Atlantic, The New Yorker, The Times Literary Supplement, The New York Review of Books, New Scientist, and Slate, among others. Her TED talk on her work has been viewed more than 2.9 million times. And she has frequently appeared on TV and radio including The Charlie Rose Show and The Colbert Report. Since 2013 she has written the Mind and Matter column for The Wall Street Journal. She lives in Berkeley California with her husband Alvy Ray Smith, and has three children and three grandchildren.